"I think with influencer marketing, education on both sides of the spectrum – whether you’re an influencer or a blogger or on the industry-side – is very important in this new industry," he says. Recently, the impact of influencers has been questioned because of a lot of, well, questionable content. From the over the top staged images like Hong Kong-based blogger Harimao Lee’s fairy lights flight to Rome to dangerous staging images that result in death, it’s all got Jenkins, who is a blogger himself, freaking out. According to him, there is no real value in images or content like these because they don’t provide any meaningful insight into anything.
. It was the long dark night during the flight from HK to Rome. Stargazing is one thing to do in the cabin . #cathaycreators @cathaypacific . Additionally, with the focus on ensuring that everything is aesthetically pleasing, content creators have forgotten to present the real, authentic experience. 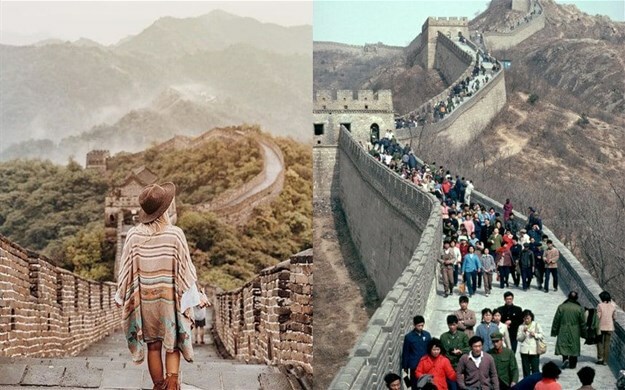 For example, LifePinner’s post of the Great Wall of China – which makes it seem as though you’ll be completely by yourself. "We’re back to content that’s being staged, but what is the real experience? After seeing that image, people following her would think 'Oh wow! I can have the Great Wall of China all to myself'. And then they’ll go there and realise that it’s the complete opposite," adds Jenkins. And then there’s the $500m matter of influencer fraud, which Jenkins says is a double-sided issue. "It also shows how much money big brands are paying influencers to create subpar content, content created for the ‘Gram and the likes, which doesn’t really achieve anything especially in tourism," he says. People aren’t making travel decisions in an instant like with an industry like fashion, he adds. Moreover, influencers are also taking the fraudulent route in getting more followers and likes. "But it’s also the fault of the industry. The industry is also primarily looking at numbers; 'I only want to work with influencers who have one million followers or more'. But did they stop and check if these followers were actually real," says Jenkins. It’s not all doom and gloom, however, with many influencers making strides in improving the industry. Jenkins says "They’re doing really good things, really cool things. They’re doing a lot more than just creating content." For example, Matt Loper’s posts include beautiful photography, a personal story, something about the place and its history and advice on how to visit the place. "It’s information, it’s inspiration and gives you an idea of how to get there," adds Jenkins. As a blogger, Jenkins reckons the future of influencer marketing lies in blogging. He favours it because its "is long-form content. Once it’s published, it is up on the internet, it’s indexed by Google, it’s searchable and it stays there for a long time. In the longer run blogs, I feel, are fantastic converters." While there are blogs like Abigail King’s that have beautifully-written stories and images, there are also educational blogs like Small footprints, big adventures which features education titbits on sustainable and responsible travel and then there are those that are shattering the blogging glass ceiling like Solo Traveler Janice Waugh who not only blogs but also publishes books and even runs an awards programme. In addition to creating content, bloggers are also developing their own tours. "They partner with local tour operators, companies and sometimes communities to organise these tours. For them, it makes perfect sense because bloggers have their audience who reads their blog religiously so if the blogger says ‘hey, I’m going to Madagascar! Anyone want to join me’, they already have an audience who is just like ‘say the word’," says Jenkins. They’re also creating marketing campaigns and driving collaboration between their different clients. "As bloggers and influencers, we work with a lot of different people and it’s just one small step when you see 'oh, I’m working with this client and that client and I think there are quite a few touchpoints between these clients to bring them together and see if we can collaborate in some way'," he says. 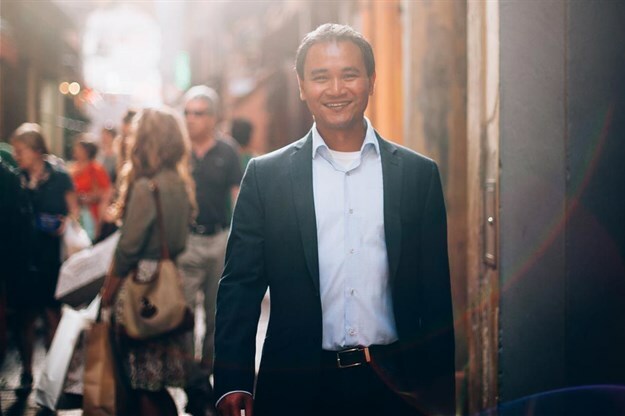 Bloggers like Kash Bhattacharya – who partnered with Schleswig-Holstein in northern Germany to travel around the region and provided feedback on his experience as a traveller – are using their experience to provide valuable insight to clients. "This is another thing that travel influencers can do so easily," adds Jenkins. In utilising their experience and experience, these bloggers are also developing destination offerings for countries. Daniel Noll and Audrey Scott from Uncornered Market collaborated with Kyrgyzstan, a country in central Asia, to develop its destination offerings. While exploring the Alay Mountains, they started marking new hiking trails for tourists who may visit the area in the future. Daniel Noll and Audrey Scott at the Alay Mountains in southern Kyrgyzstan. Content creators are also working with companies to develop new products. There is also the opportunity for companies to consult with travel bloggers and influencers on products that are set to launch for testing it before it goes to market, adds Jenkins. They aren’t just using their expertise for monetary gain either. The Shooting Star Shivya Nath loves the Sarmoli village in the Himalayas and introduced them to Instagram. She even started a small campaign drive on her Facebook page for old smartphones and increased the number of smartphones in the village from one to 15. In addition to that, she trained the villagers on how to use social media to tell stories and how to take photos with the phones. "And if you go to the Instagram page, you’ll see a lot of beautiful photos basically taken by the villagers themselves, highlighting the beautiful nature and its sustainable tourism activities. This is just a small example, which can easily be created in Africa, that can have a big impact in the community," he advises. Do research: Think about what your goals and objectives are. And when you have that down on paper and it’s clear to you, approach the people who will help you reach your aim and objective. Meet up: Once you’ve found your perfect partner, set up a meeting with them, preferably in person, and talk to them about it. Discuss goals: Sit down and talk to them about what your objectives are and how you intend on achieving your goals. Test it out: If you’re working with someone for the first time, do a little test project and see how that works out before you started tackling bigger things. Feedback, feedback, feedback: When you’re building this relationship, feedback is so important and this is both ways as well, says Jenkins. From the client going to the blogger to the blogger going to the client. He adds that while numbers are great, this is not the be-all and end-all. "Keep in mind though, and I stress this all the time, numbers are great and numbers sell stuff but they’re not as important as the content that comes out of it, the person you’re working with, the passion and fulfilment that comes out from creating this content and putting it out there. These are, in my opinion anyway, a lot more important than just looking at a photo that gets a million likes because if the photo is not meaningful then what’s the point of it reaching a million likes when nothing else happens with it," he says. The ones getting it right are the ones taking the time to build and nurture relationships with clients, says Jenkins. He adds that while you are building and nurturing this relationship, you should think about mutual respect and things that are mutually beneficial. Companies, on the other hand, should think of ways in which they can work with a blogger outside the sphere of content creation like workshops or consultancy. And finally, he says things take time. "There’s always a moment for something and when the moment and opportunity is there and things come together, you can really create magic," he says. Click through to our World Travel Market Africa section for more.